Peter is the genius behind the clubhouse vegetable soup apparently. “the splash of curry powder is the secret” he whispers to me as he shows me the way to Machrihanish Dunes Golf Club first tee. Just as well he did, as these links courses can be tricky to navigate, and getting lost on the way to the first would not be good for my reputation. 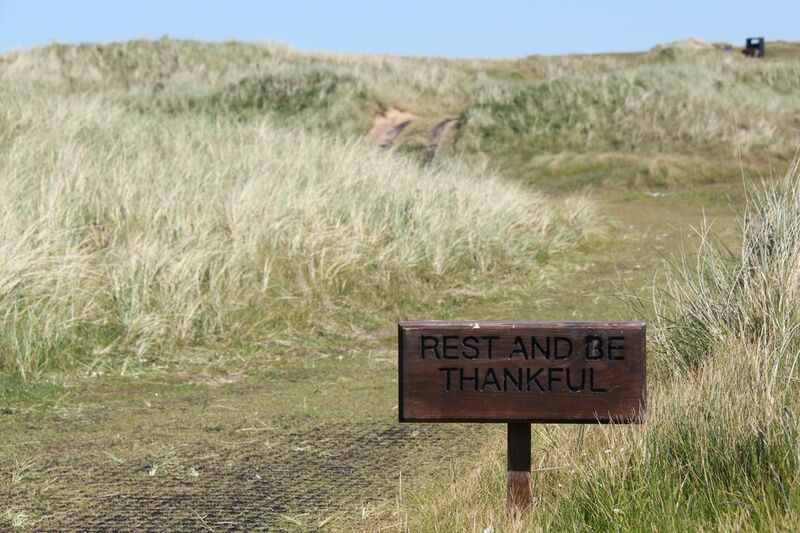 Machrihanish Dunes Golf Club is a dream come true for American developer David Southworth. 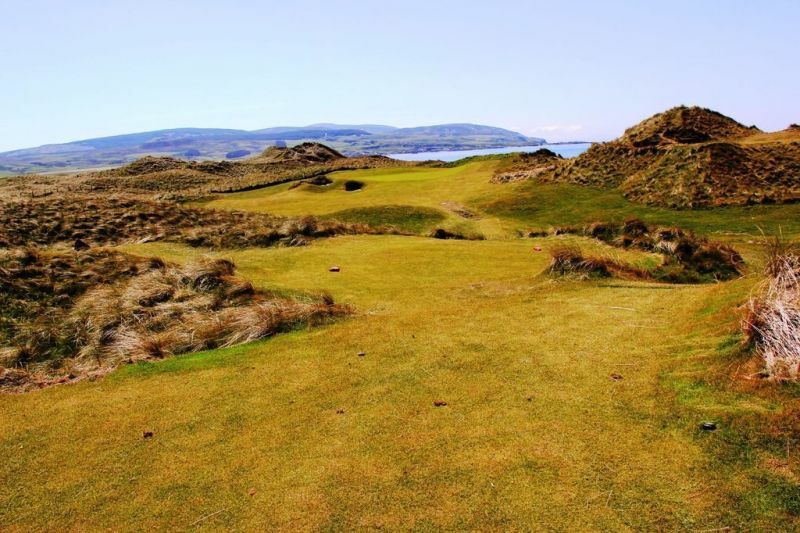 Looking for vacation development opportunities in Scotland, he discovered some remarkable farming land right next to the ocean on the Kintyre Peninsula which would lend itself perfectly to a links course. 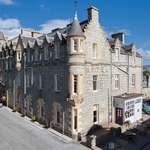 With the farmer agreeing to sell it off, and the purchase and renovation of two local iconic hotels, the Royal in Campbeltown and the Ugadale in Machrihanish, his dream of building a new quality golfing destination was well and truly underway. 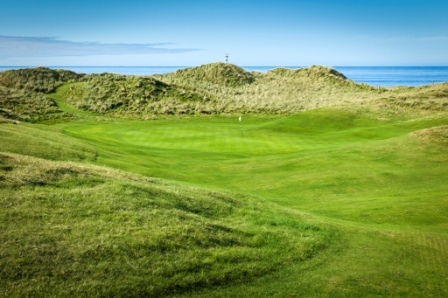 Machrihanish is no stranger to great golf with its own links course literally just steps from the Ugadale Hotel and designed by none other than the late great Old Tom Morris, designer of the legendary St Andrews Old Course no less. 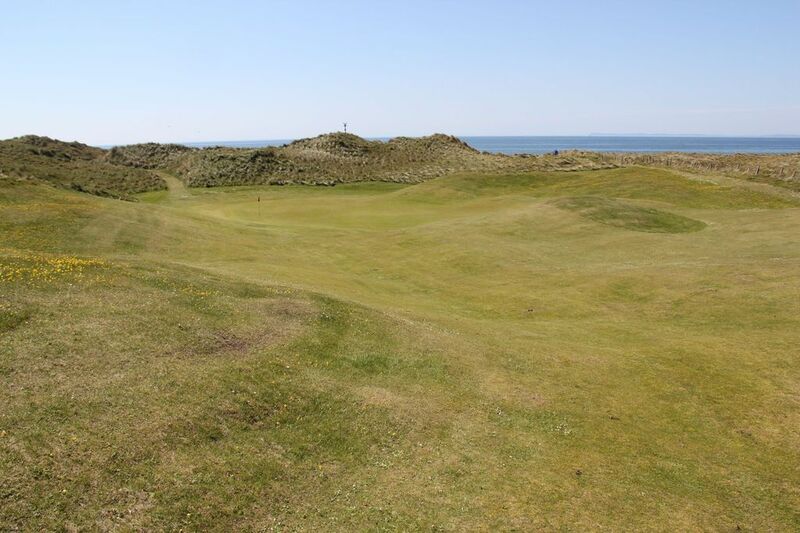 Alongside such esteemed company, Machrihanish Dunes Golf Club would need to raise an eyebrow or two, so does this fledgling links, just 3 years old, pass the test? 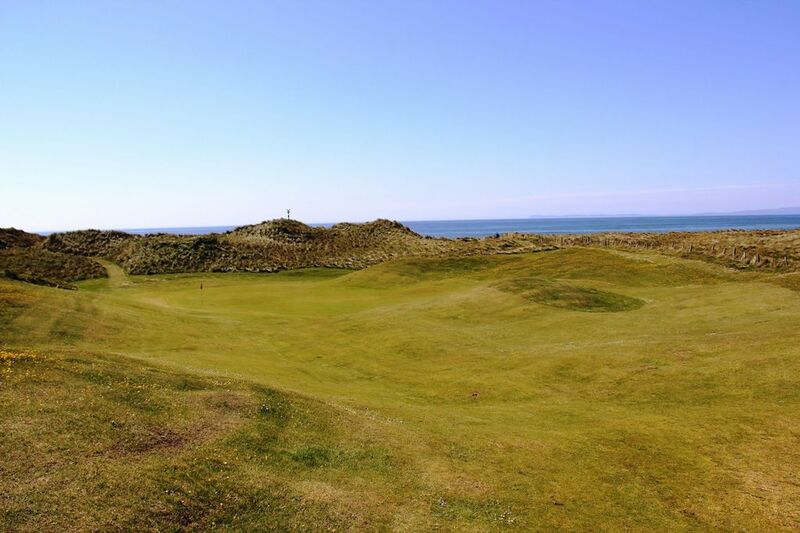 Of the 275 acres on which the course sits, only seven were disturbed during the creation of Machrihanish Dunes and that was to build just the tees and greens. Architect David McLay Kidd has left everything else “just as Mother Nature and Father Time had created.” A true links layout. 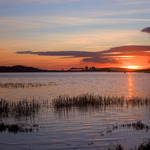 The course is also home to endangered species such as the marsh orchid and the Burnet moth which inhabit the “machair” or ancient beachland it sits on and so it’s protected by Scottish Natural Heritage as a Site of Special Scientific Interest (SSSI).The reason many of the walking paths between holes meander around sensitive areas. Links golf is special in that many holes are blind, and you need to shape shots to match the contours of the ground rather than hit high lobs into the greens. Machrihanish Dunes Golf Club is in this regard a classic Scottish links and simply a work of art. You have to trust the arrows pointing the direction on each tee and the markers behind the greens, make sure you have the correct length and club and commit to every shot. Simple. The front nine is perhaps less of a test than the back, the elevation not really a factor here, just accuracy off the tee. But still, there are pitfalls everywhere. The green on the first, tucked away on a punchbowl behind some devilish hills and bunkers; the deceptive short dog leg 4th, the back to back par 3’s 5 and 6, and the epic 8th, one of the toughest par 5’s I have encountered. On to the back 9 and after a climb that feels like Everest, I’m rewarded with a great view of the Atlantic and a drive opportunity to savour and really go for. The par 3 12th is not to a hole to be short on, I take an extra club to be safe as the green is bigger than it looks. Big hitters will salivate at the 14th a driveable hole for sure but there are plenty of bunkers lurking to catch a wayward shot. The beach view up on the 15th tee is spectacular and so is the wind on a par 4 with just two bunkers to contend with by the green. My favourite is the 17th. A dogleg par 4 over 430 yards split by a river just before the green, and then followed by a sharp dog leg left for the closing 18th where anything left will be blocked out. 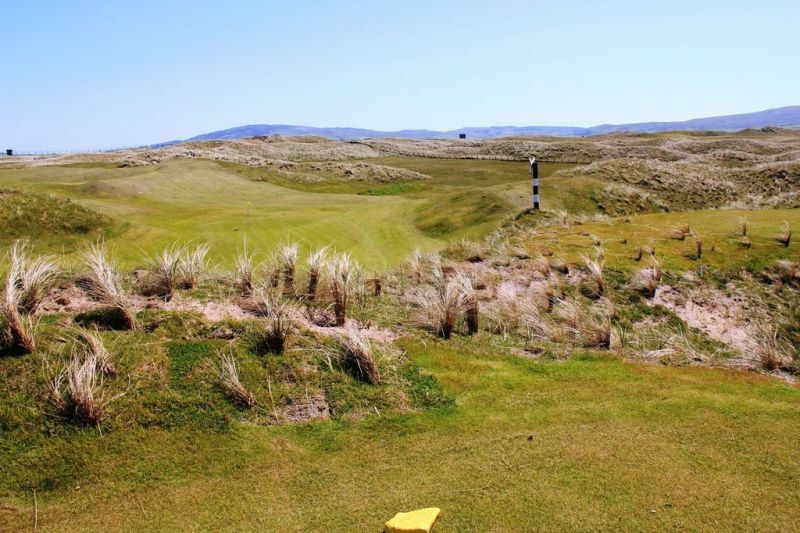 Machrihanish Dunes is a track you will fall in love with over and over again. Not just because it is such a natural links, not just because you will get a sense of achievement posting a decent score off the back tees, but simply because it is golfing time machine, a route back to how golf was born. And that in my view is priceless. I think Old Tom Morris would be very proud indeed. He might even approve of Peter’s vegetable soup. I know I did. 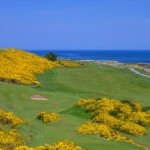 I want to play at Machrihanish Dunes Golf Club. Give me more details. Day passes from £40 (according to season) Hotel guests from The Royal or Ugadale get discounted golf.